Trademarks can be registered in Cuba with the Cuban Office of Industrial Property “OCPI.” U.S. based companies are allowed to file trademark and patent applications in Cuba under an exception to the trade embargo. Cuba has a first to file trademark rule wherein an individual or company may secure a trademark registration of any mark available on the Cuba register. Cuba’s legal framework for trademarks prohibits registration of a sign, mark or trade name that is identical to an earlier trademark registration or pending application for the same goods or services. Cuba follows the NICE agreement and is particularly objective to geographically descriptive marks. Renewal periods is every ten years. Cuba allows a party to seek cancellation of a registered trademark that has not be used for a period of three years. The registration of a trademark gives its owner the right to exclude others from taking a series of actions that interfere with its exclusive right to use the mark. Grounds for invalidating the registration of a mark, including acting in bad faith because the trademark used for goods or services is identical or similar to one previously applied for, registered or well-known in other countries. Provisions of Cuba’s trademark laws include a provision for preliminary relief and customs enforcement measures following WTO requirements. Patents can be applied for directly in Cuba or based on International Applications (PCT) can be filed within 30 months from the original filing date and the documents can be presented in the original language. Certified translation can be filed later. Concession of a Patent Grant in Cuba is 20 years for a utility patent and 15 years for a design patent. The Cuban patent system does not allow patent holders to preclude use of the invention for scientific or technological research, nor for private non-commercial purposes. Cuba is a signatory to the Berne Convention and recognizes copyright protections granted by other nations although the copyright term is less than the United States. Also, upon expiration of an author’s copyright, the state may transfer such rights to itself rather than allowing the work to move into the public domain. The Power of Attorney form needs to be signed by an officer of the company and dated, with no additional formality. History: A West Indies island containing other islands, cays, and islets, Cuba is the westernmost island that is at the opening of the Gulf of Mexico. It is also the largest island in the Caribbean. 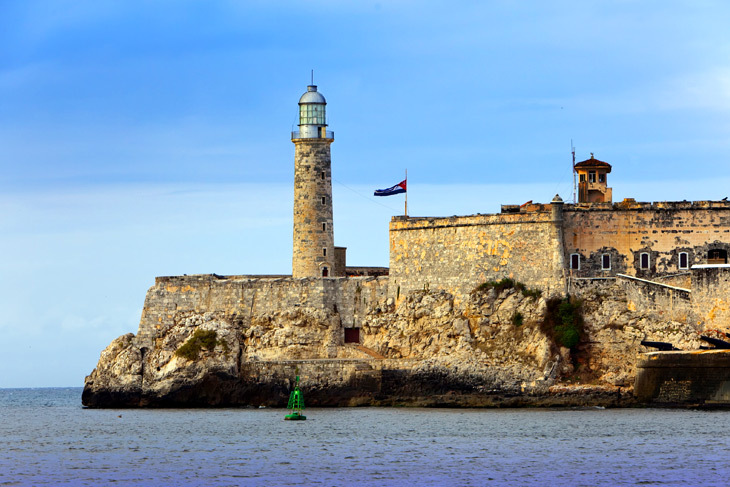 Cuba was originally inhabited by Arawak Indians who remained there until 1492 when Christopher Columbus visited the island. The first settlements were created in 1511 by the Spanish who controlled the island until Cuba became independent in 1902. By 1959, Cuba was under a Communist regime with dictator Fidel Castro and continues to have a communist government. Its capital is Havana and the official language is Spanish. As it is widely known, Cuba has a primarily state controlled and planned economy. The majority of their economic activity is made up of unclassified transactions, but nickel, cigar, and raw sugar cane productions follow close behind. Cuba is also known for its captivating heritage and rich culture, including the architecture and old cars seen especially throughout Havana. 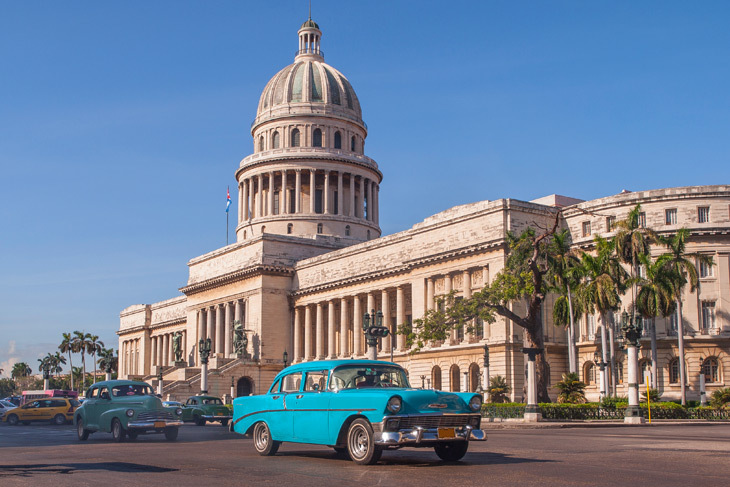 Cruises and other travel services, such as airlines, are creating more routes to the country and are aiding the process of U.S. companies and corporations to gain exposure in Cuba. In the past 26 years we have seen an evolution of the laws guided to confront the economic crisis. In 1992, a constitutional amendment removed certain limitations on foreign investment and granted foreign corporations a limited right to own property on the island if they established joint ventures with the government. It is noted that the Cuban Party regimen ruling the island has issued numerous changes trying to win the credibility of the country regarding economic relationships and promoting its development. Cuba is considered a diamond in the rough that with time will be highly polished.